Summit Fire & E.M.S. firefighters responding a house fire in Keystone, November 2018. 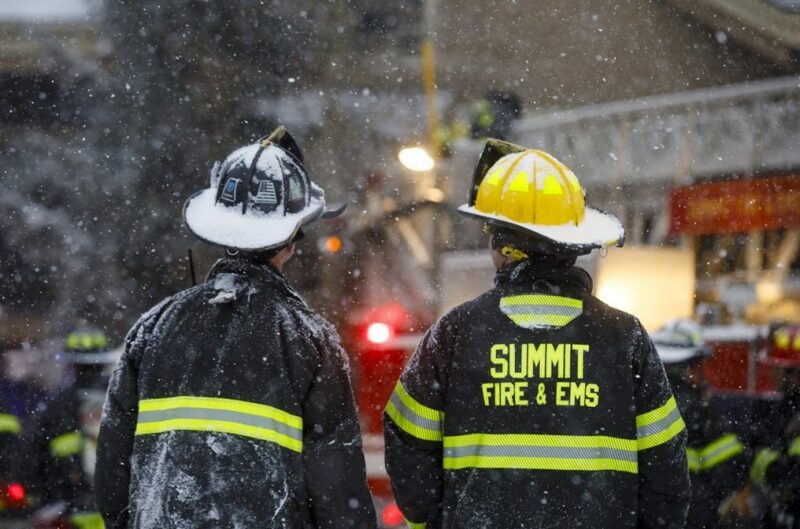 Summit Fire & EMS and Summit County Ambulance Service will merge operations this summer. Summit Fire & E.M.S. and Summit County Ambulance Service have agreed to merge operations and consolidate their services into a single organization. The moves comes after the Board of County Commissioners and the board of directors for Summit Fire & E.M.S. unanimously came to an agreement in principle this week to merge the organizations. The ambulance services will merge operations by July 1 and a formal financial and legal unification will take place by Jan. 1, 2020. The move comes after outside consultants repeatedly recommended that the county unify its emergency operations under one roof to streamline operations and make the operations more cost-efficient. Summit Fire spokesman Steve Lipsher assured the Summit Daily that there are no planned layoffs or staffing cuts planned as a result of the merger, while the normal course of staffing may see people come and go over time. Lipsher added that no new organizational chart has been drafted yet for the new single entity. The two organizations already are jointly constructing a new administration building in the Summit County Commons near Frisco, scheduled to open this spring. The 9,400-square-foot building will house all administrative functions of Summit County Ambulance Service and Summit Fire & EMS, as well as Summit Fire’s permit and inspection functions. Summit Fire and Summit County Ambulance Service have shared staffing and housing at Station 1 in Copper Mountain, Station 8 in Dillon and Station 11 in Keystone for years, and firefighters have been cross-staffing on ambulances on each shift for more than two years. Looking ahead, the two organizations will begin negotiations on the formal agreements required to implement the merger. The result will be the second-largest emergency-response agency on the Western Slope, with more than 100 employees. Red, White & Blue Fire will remain an independent, stand-alone entity covering emergency response in Breckenridge and southern Summit County. “There are still certain financial challenges associated with running ambulance services in a rural resort area, but this consolidated model will help us take advantage of economies of scale that will improve efficiency while maintaining a high standard of service,” Stiegelmeier said. Lipsher added that the organizations are still figuring out how to handle certain financial issues, such as how to offset the lack of county subsidy once the merger is completed.